Husky puppies Animal desktop wallpaper, Husky wallpaper, Dog wallpaper, Animal wallpaper - Animals no. 5072. Download this Husky puppies Husky Dog desktop wallpaper in multiple resolutions for free. Huskies were originally used as sled dogs in northern regions but are now also kept as pets. 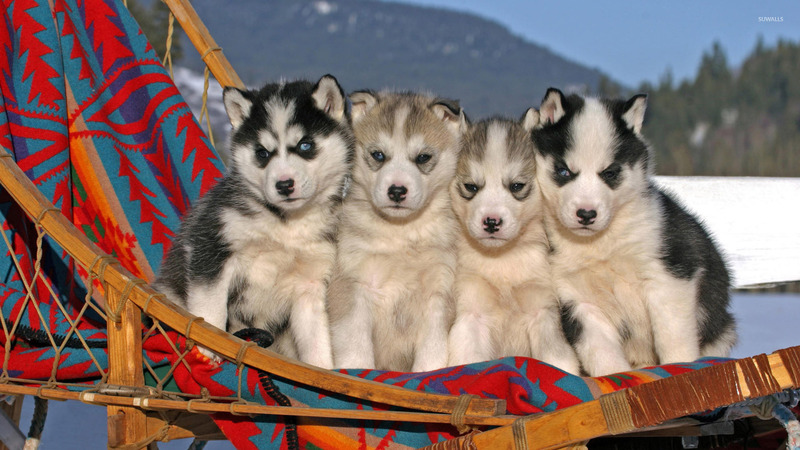 The word "husky" is a corruption of the derogative term "Eskie", also given to the Esquimaux tribes that came into contact with Europeans who made early expeditions into their lands. 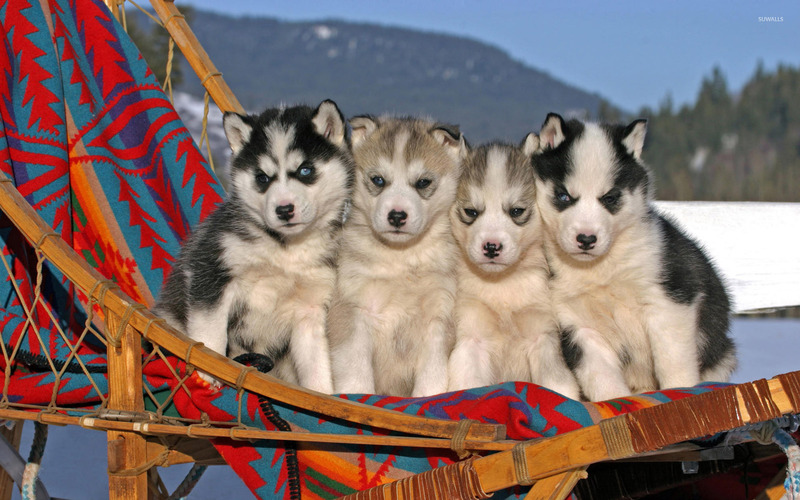 The most common huskies are the Siberian Husky and the Alaskan Husky.